Saltwater fishing holidays are designed for the angler who wishes to travel abroad with lure, popper and jig fishing on their mind. These saltwater fishing holidays will transport you to some of the most exotic destinations on the planet. 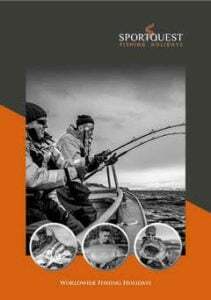 These fishing holidays abroad will see you fishing from both boat and beach working those artificial lures in the hope of catching a true toothy monster from the deep. Our saltwater fishing holidays will take you to some of the most spectacular destinations including Africa, Namibia, Madagascar, Andaman Islands, Christmas Island and Guatemala. 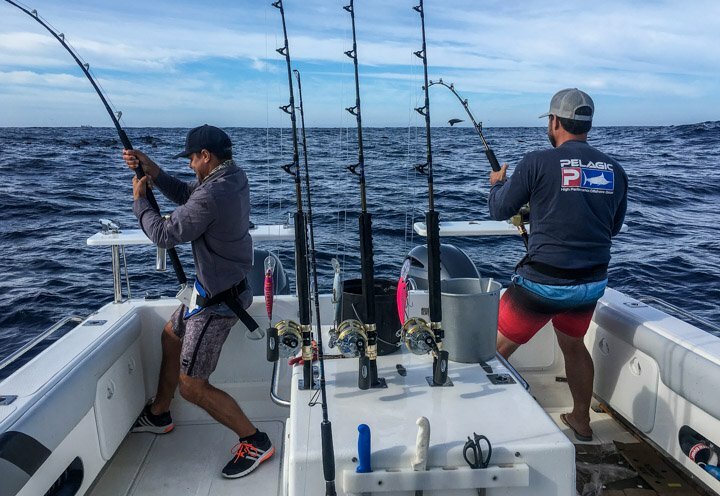 These destinations will give you the chance to catch some monster fish such as Giant Trevally, African Snappers, Tarpon, Sailfish, Dogtooth Tuna, Shakes and many more. One of our most popular destinations is Christmas Island. Our Christmas Island saltwater fishing trips offer diverse habitats, endless flats, along with miles of offshore fishing. There are a huge variety of species to catch over the 100lb mark. Namibia shore-based Shark fishing is another spectacular holiday. The Namibian coast boasts one of the largest populations of Bronze Whaler Sharks in the world. These huge sharks can reach well over 400lbs. You will be targeting them from the shore on heavy surfcasting tackle and bait. When you book a saltwater fishing holiday with Sportquest holidays you will have the usual amazing service we are renowned for and you will have the expert advice from our consultants who understand the needs of the saltwater angler. You will travel on your saltwater fishing holiday safe in the knowledge everything has been taken care of and that you are properly prepared.